The world has ancient Greece to thank for Athenian democracy, philosophy, the Olympic Games and classical literature. And OHROPAX. 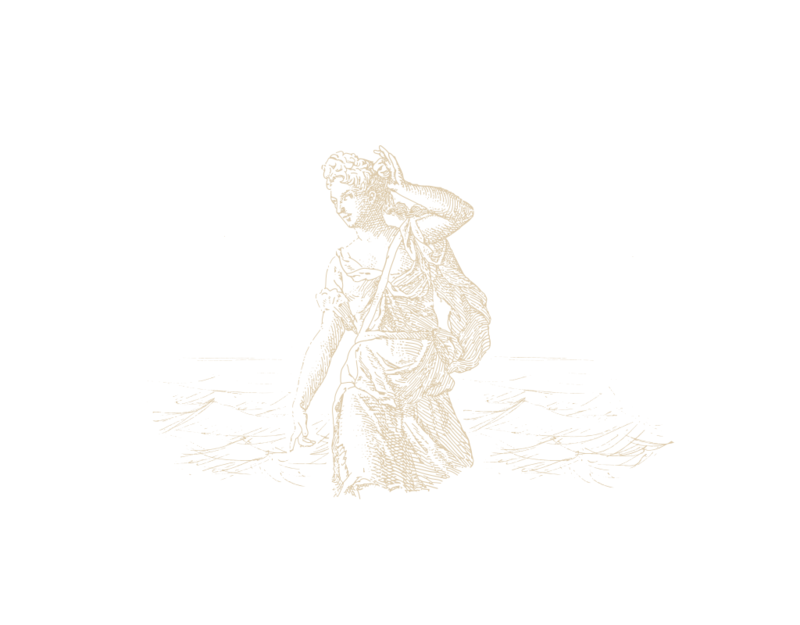 At the beginning of the 20th century, the friends of company founder Maximilian Negwer came across the ancient legend of Odysseus, which inspired the development of OHROPAX. Homer’s Odyssey tells of the adventures of the king of Ithaca, Odysseus, and his companions on their journey back from the Trojan War. 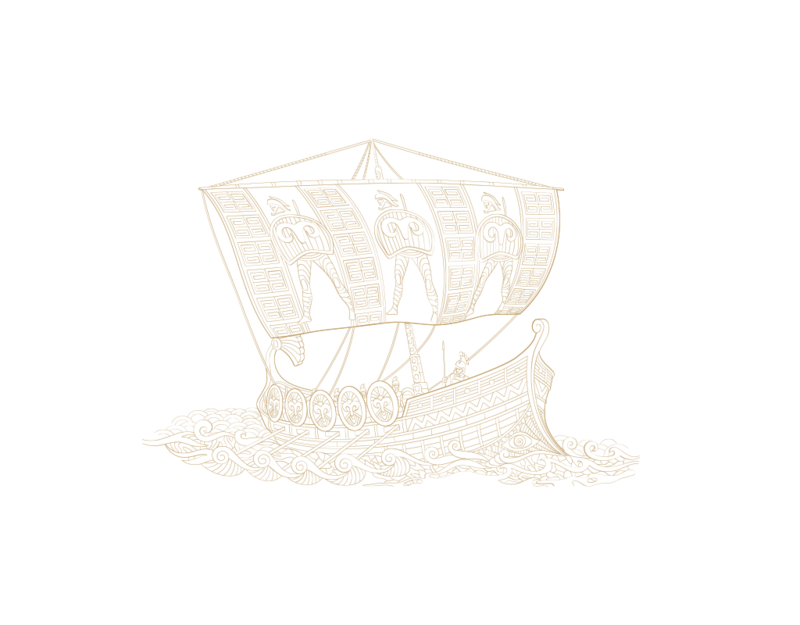 On this trip, they need to overcome many adventures and perils, which Odysseus continually manages to do thanks to his cunning and the help of his companions. One such peril occurs when they pass the Island of the Sirens. The island is inhabited by magical creatures that captivate seafarers with their enchanting singing. Those who hear the song are so enchanted that they make their way towards the island and crash on the rocks. Odysseus, however, does not fall for this trap. 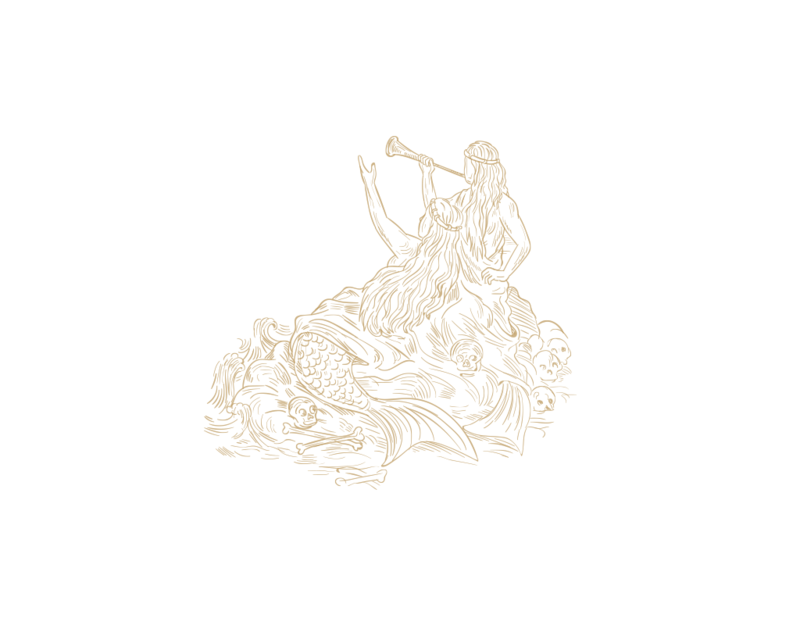 Our hero has a plan that enables him to abandon himself to the sirens’ singing without sailing to his doom. He closes the ears of his crew with melted wax and has himself tied to the mast. And it works. While Odysseus is bewitched by the sirens’ singing and pleads with his crew to untie him, his crew resists the sirens thanks to their ‘earplugs’ and sails safely past the island. OHROPAX has been working to achieve silence and relaxation for over 100 years. The product range and the company have evolved continuously over the years. Learn here about the milestones that have shaped the company and made OHROPAX one of the quietest brands in Germany. In the late 19th century, noise pollution became a health issue due to industrialisation, especially in large cities. Inventors and creative minds took up this problem and developed various types of silencers for the ears, which at that time were called ‘antiphons’. At this time, a wide variety of patents were applied for, from hollow spheres made from hard rubber or metal to rubber-like hollow plugs, padded headbands and spheres made from cotton wool, felt or sponge soaked in paraffin. 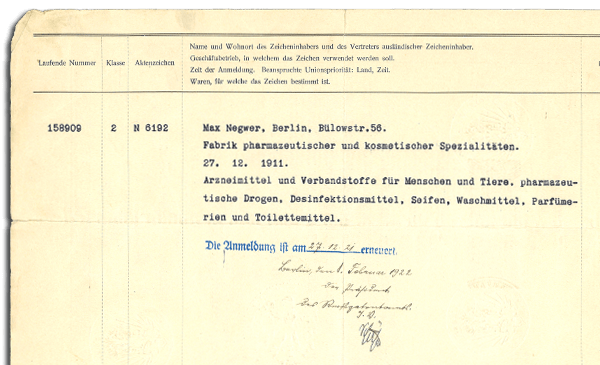 Maximilian Negwer invents the OHROPAX brand and founds the company Fabrik pharmazeutischer und kosmetischer Spezialitäten Max Negwer in 1907. Through the company, he sells OHROPAX noise protectors as well as other products. Maximilian Negwer gets the idea for the company from his friends and acquaintances. This includes Professor Jenny Preiß, who applied for a utility model for an ‘antiphon’ noise protection. This utility model is the basis for the further development of OHROPAX wax plugs. (Note: A utility model is like a ‘small patent’, which means that it involves less inventiveness compared to a patent.) A licence agreement exists between Jenny Preiß and Maximilian Negwer for the six-year term of the utility model protection. Maximilian Negwer turns the idea of a functional relaxation product for everyone into a marketable product. This includes optimisation of the formula, product development through to series production, and packaging design. 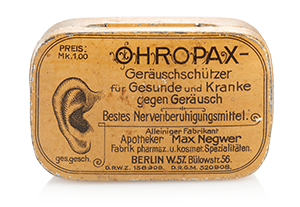 The first pack of OHROPAX noise protectors are sold in autumn 1908 for the price of one gold mark (approximately €5.75 when adjusted for inflation). The tin contains six pairs of wax plugs and is available from medical supply shops and department stores. 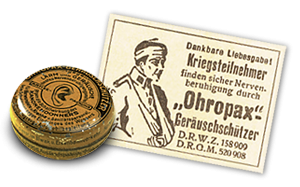 During the First World War, soldiers use OHROPAX as protection against the harmful noise effects of gunfire. In addition to Maximilian Negwer himself, Lieutenant General (ret.) Freiherr von Dincklage-Campe likely contributes in 1914 to the new product being included in the soldiers’ equipment from 1916 through his contacts in the war ministry. Now, large sections of the population are introduced to the product for the first time and OHROPAX noise protectors soon became the company’s principal product. OHROPAX conquers the market. 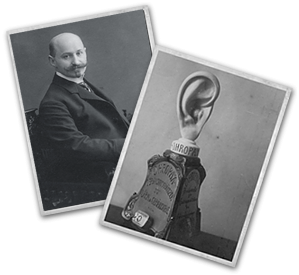 A huge ear model serving as a marketing tool is a great talking point in pharmacies. Running advertising campaigns in newspapers and magazines, OHROPAX establishes itself as the best-known brand for hearing protection. The product is exported worldwide and is to continue to be exported around the world for several decades to come. Following the death of Max Negwer, his wife Erna Negwer takes charge of operations. She steers the company through difficult times. At the end of the war, production is temporarily suspended due to a shortage of materials. The company, which had been based in Potsdam from 1924 onwards, is hit by the consequences of the division of Germany. When the company is nationalised, a state-owned company (VEB Pharmazeutika Königsee) takes charge of OHROPAX production in East Germany. 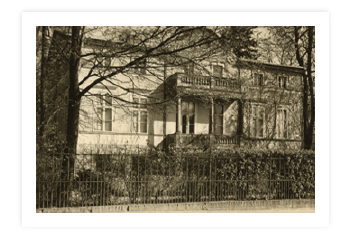 The family company founded by Max Negwer moves to the West and resumes operation in Bad Homburg under the guidance of the founder’s son Wolfgang Negwer. Thanks to the economic upturn, OHROPAX’s sales figures rise. This period also sees the creation of the new logo on a bold yellow background, which will shape the company’s packaging for years to come. A tin continues to be used. The company acquires a new factory building in Wehrheim im Taunus. The intensive manual work that has been carried out up to this point is now replaced by modern production and packaging systems. Michael Negwer, grandson of the company founder, takes charge of management operations. OHROPAX Soft and OHROPAX Color foam plugs as well as OHROPAX Multi plastic plugs are added to the product range. Customer satisfaction and ensuring a high level of quality become an increasingly important part of the company’s philosophy. The company acquires certification according to ISO 9000. Pink-coloured OHROPAX Silicon earplugs are added to the product range. The company celebrates its 100-year anniversary. The company acquires a larger factory building in Wehrheim to cope with growing demand. New products are released, with a high-quality sleeping mask and silicone earplugs in additional colours and sizes. Lamellar earplugs with special filter inserts for use when flying and listening to music are added to the product range. 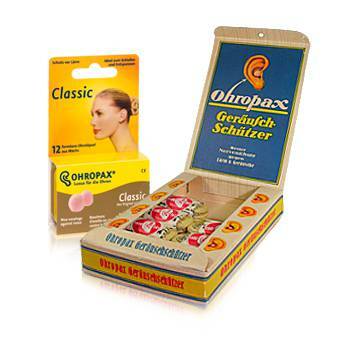 OHROPAX is a market leader in noise protection earplugs for end consumers and is the best-known brand in this segment. The classic wax plugs, 30 million units of which are produced each year, remain one of the main products of the family-run company based in Wehrheim im Taunus. Earplugs of all kinds and other health products are added to the product range. Almost 90 years ago, OHROPAX’s advertising was very different. A lot has changed since then. What is interesting, however, is that even back then, there were campaigns for various applications such as protection from water and wind, noise or simply for a little peace and quiet. And there is tradition behind this. 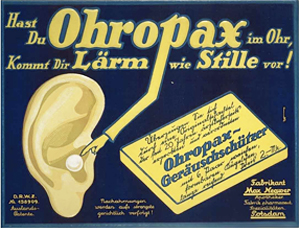 Although OHROPAX has kept up with the times in terms of its marketing, we have remained true to the versatile application of our earplugs. What’s inside remains practically unchanged since 1907. However, the packaging of OHROPAX Classic has continually taken on a new, modern design. Take a look at our classic product down through the years.